Charities are frequently said to be behind the curve when it comes to IT, yet IT is a complex area and charities cannot simply dive into every new technology that comes along. In the context, strong digital leadership is vital, and here the concept of digital maturity may help. It advocates finding the most appropriate way to adapt to the digital environment, with an emphasis not only technology but strategy, talent management, organisational structure and leadership. In this half-day event designed specifically for finance directors with responsibility for IT, we will look at the key elements of the digital maturity approach, such as long-term planning horizons, cross-functional teams and developing digital talent. This event is for charities only. 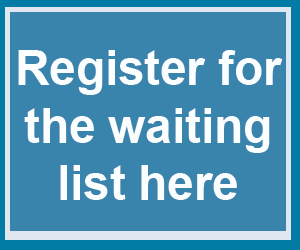 This event has limited capacity, register your interest using the link on the right-hand side and a member of our team will confirm your place within 1 week. What is digital maturity and how does it inform high-level strategic planning? Brani is the creator of a digital maturity self-assessment test which has now been used by over 130 people in organisations of all sizes – she will share the framework and the analysis of the results thus far. From cloud, to infrastructure, and information systems to automation, how do you ensure your strategy incorporates the right technology? What are the practical steps that drive productivity and better outcomes for your beneficiaries? The Disabilities Trust finalised a new organisational strategy in September. Cath will share how to ensure that technology is at the heart of strategy rather than an afterthought, provide an update on the progress of the charity’s change programme, and reveal how technology is keeping the charity’s beneficiaries safe as well as allowing them to lead better lives. Catherine has worked for the last nine years in Health & Social Care, specifically in not-for-profit organisations. She was Deputy CEO/Director of Business Development at Community Integrated Care for 5 years and before that she was Director of Development at a mental health charity. She holds a Master’s Degree (with Distinction) in Business Administration and spent 15 years in her early career in the commercial sector, specifically senior positions in management. David is the Chief Operating Officer and Finance Director for the Oxford Diocesan Schools Trust. David's work involves close collaboration with the Trustee Board as well as related committees. David is responsible to the board for the efficient and effective operating of this growing multi-schools academy trust. Prior to ODST David was Director for Finance and Support Services at the Baptist Union of Great Britain. His responsibilities included finances, fundraising , investments, property, information technology, HR, legal and facilities management. He was also the Secretary (Chief Executive) of the Baptist Pension Scheme which is the largest multi-employer pension scheme in the country with 2,000 employers and £250m pension liabilities.. Prior to BUGB, David worked as Director of Finance and Corporate Services at BMS World Mission. BMS is a Christian overseas development organisation that helps the neediest people of the world in over 35 countries. David is a Fellow of the Institute of Chartered Accountants (FCA) and Fellow of the Royal Society of the Arts (FRSA). Nathan is a company director and the head of the technology change practice. A strong strategic leader with over 15 years’ experience in business improvement and delivering complex transformational change and pioneering in driving technology adoption in the health arena. Nathan has worked for a number organisations across the public and private sector. Please find a link to download the presentations from the day, you will have received a password to access these files. This event is part of Charity Finance Week. In October 2018 we will be celebrating excellence in charity ﬁnance practice through a dedicated week of events, content and thought leadership initiatives. Starting with a reception at the Houses of Parliament and culminating at the Charity Finance Summit, we will be working with charities, academic institutions and key professional service providers to debate and tackle the biggest issues head on. 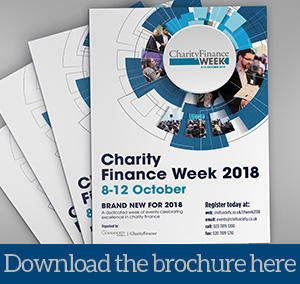 Charity Finance Week is an opportunity to focus on the challenges charities face, showcase their successes and consider their impact. It will draw on the exemplars of best practice and innovation across the sector, whether they be in terms of ﬁnancial governance, executive leadership or strong operating models. Charity Finance magazine will lead the coverage and content as we seek to engage with the sector and stakeholders and bring the key issues front and centre. At ojo solutions, we believe technology offers incredible opportunities to transform lives. So whether your passion is to help people, animals, plants or the planet, we can empower you to do even more inspiring, life-changing things. We’ll help you take the next steps on your technology journey – anything from understanding how to do more with your existing tech to crafting and delivering your complete digital transformation. We’ve spent years enabling charities to do more with technology, so know this unique sector inside out. What’s more, we provide the business, design, user experience and development expertise you need in one place.